Mr. Hulot’s Holiday introduced Jacques Tati’s droll title character to the world. The film is about nothing more than what the title indicates—a beach vacation taken by one Mr. Hulot (Tati never gives us his first name). The sense of formality in providing only his last name plays off of Hulot’s ungainly gait and ‘all-elbows-and-knees’ bearing. As Hulot interacts with his fellow seasiders over the course of several days, his air of formality brings a warmth of humanity to his character, even as his clumsiness creates difficulties for others—not to mention plenty of laughs. That sense of humanity in Mr. Hulot only grows over the course of the film, particularly when we see him in relationship to the vacationers around him. This group of people operates on a strictly regimented schedule, moving like a herd of cattle every time the hotel’s meal bell rings. One couple always finds themselves in the restaurant a bit early, apparently unable to find anything else to occupy them beyond that most basic urge to eat. Cattle, indeed. One recurring gag involves the lights in the beachside inn coming on in reference to one of Hulot’s nighttime escapades. While everyone else has dutifully made it to bed at a “proper” hour, Hulot finds himself out and about, exploring and adventuring. Where the group predictably files into the restaurant for lunch or sits quietly in the lobby every afternoon, Hulot leaves muddy footprints in the lobby or disturbs the quiet by leaving the door open on a windy day. Time and again Tati emphasizes the distinction between Mr. Hulot and the rest of the vacationers. True humanity looks quite different from the humdrum habits of most people. This fundamental contrast suggests to us that of all the vacationers (save, possibly, a mysterious young woman) only Hulot has found the freedom that people so desperately seek both in vacation and in general. Hulot’s bumbling nature and the many laughs it produces becomes something of a stand in for individuality, freedom, and, most importantly, human warmth. Ironically, though filled with an attentiveness to others, Mr. Hulot generally remains beyond the touch of any other person. This sense of physical isolation provides something of a dark counterpoint to the inventive gags. Even as Tati joyfully portrays the title character with a wry blend of formality and flailing limbs, Hulot remains beyond the reach of true human companionship. Indeed, it is the man’s difference from the crowd that makes him such a compelling figure. That Hulot never seems to find the companionship enjoyed by virtually everyone around him is not so much an indictment on his freedom and sense of wonder as it is on the rest of society’s rigidity and predictability. One of my American Western heroes is not John Ford, obviously. To say the least, I hate him. Forget about faceless Indians he killed like zombies. It really is people like that that kept alive this idea of Anglo-Saxon humanity compared to everybody else’s humanity—and the idea that that’s hogwash is a very new idea in relative terms. And you can see it in the cinema in the Thirties and Forties—it’s still there. And even in the Fifties. 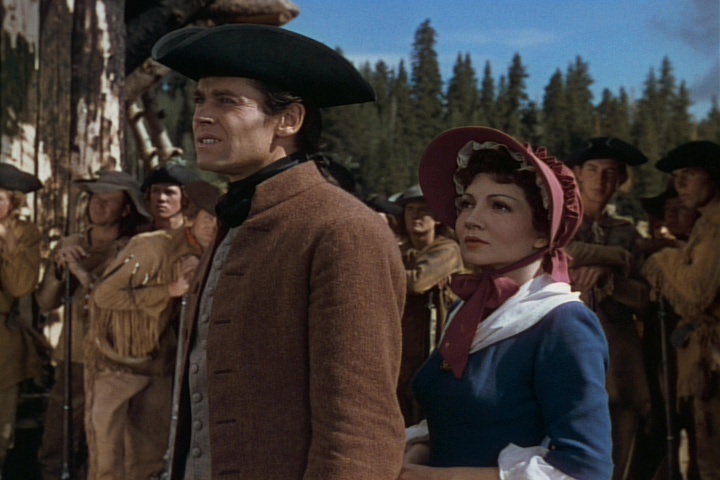 John Ford’s Revolutionary War-era drama Drums Along the Mohawk—made in 1939—is among his films that include “faceless Indians” and in this way serves as one helpful means of examining Tarantino’s view regarding Ford’s racism. Tarantino isn’t alone in his assessment of Ford’s work, but I find Ford’s films, including his Westerns, to contain a rich and varied portrait of figures of all kinds, colors, and genders. When it comes to uncomfortable scenes with racial overtones, I won’t deny there are several in Ford’s oeuvre. Drums contains one especially egregious scene recently examined by Mike D’Angelo, where two drunken natives mean to burn down a house, and end up rescuing a bed inside when an old woman protests their actions. Ford’s comic sensibilities don’t always land near my own—he tends toward the broad and the slapstick—and this scene certainly illustrates that tendency well. However, Ford does something else in this film that complicates the picture of Tarantino’s vision of Anglo-Saxon superiority. And this more complicated picture better reflects the American experience of race through my own lenses—a mixture of good and bad, of outreach and insensitivity, of helping hands and murderous ones. The film opens with a Northeastern U.S. wedding among colonists of some means. The house, the décor, and the dress all highlight the fact that these people expect to live according to certain standards. The people have gathered to witness the nuptials of Gil Martin (Henry Fonda), who recently built a home on the frontier of Mohawk Valley, and Lana (Claudette Colbert), daughter of high colonial society. The film follows the Martins through their early years as settlers in the Mohawk Valley. More importantly, however, Ford proceeds to throw obstacles at the naively haughty Lana throughout the course of the film. It turns out that “wonderful” Anglo-Saxon upbringing yielded Lana few frontier survival skills, with all its emphasis on obtaining the elemental things of life—food and shelter most importantly. While Gil puts his back into his work, Lana loses her expensive and impractical possessions and discovers that there’s more to life than the latest fashions from Europe. When Lana stoops to nurse soldiers injured in a Revolutionary War battle, we get the sense that her transformation nears completion. The final sequence of the film completes an excellent bookend with the opening wedding scene. The European settlers have to fight off a band of Native Americans (led by a pro-British European no less). Lana is among the group of settlers in the local fort, and during the fight, she even picks up a weapon and shoots a man. 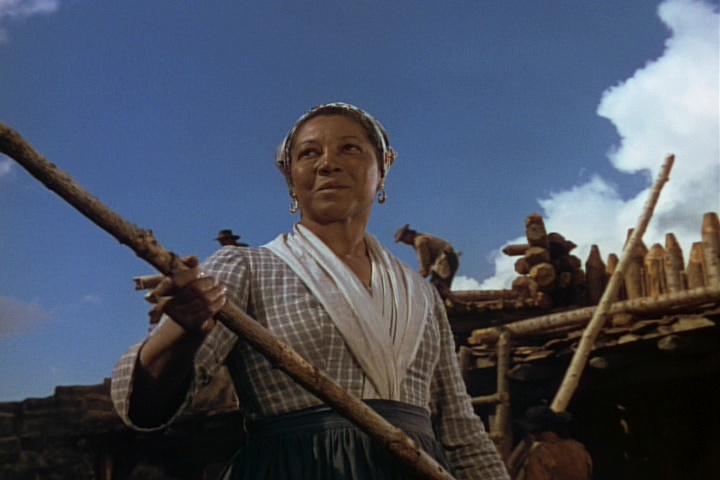 Not only has she lost all outward claims to gentility that she brought to the frontier, she has lived with the settlers through their darkest moments, where all become equals in the face of imminent death. Soon after this battle, Gil and Lana visit the fort, which the settlers have set to repair. Here they discover that the Revolutionary War has ended, and someone mounts the flag atop the church steeple (the highest point within the fort). As this occurs, Ford cuts to four separate, still shots of people gazing upon the flag that stands for newfound freedom: a black woman, a blacksmith and his wife, a Native American, and finally, Gil and Lana. Interestingly, Ford shoots both the black woman and the Native American from below, attributing to them something like hero status. With the camera pointed upward, Ford makes these people seem larger than life, emphasizing their place in this land of freedom. 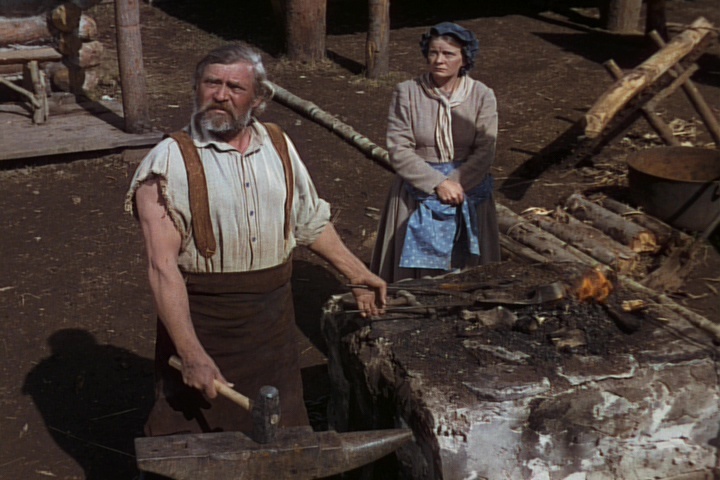 Of course, these two shots aren’t without irony—as these people would have had nothing like the freedom enjoyed by the blacksmith and by Gil and Lana. In this way, this final montage has a multivalent effect—it celebrates the victory for freedom; it chides the victors for their unbalanced or incomplete views of freedom; and it reveals a yearning for something more, seeing as winning the revolution most certainly did not mean freedom for all. There’s a poignancy to these images that the Tarantino’s of the world don’t seem to count in their reckoning of Ford on race. The last of the four shots, the one of Gil and Lana, closes the film. It also includes the only lines in this brief sequence, and in it we see the final transformation of the elite as they take on the qualities of the everyman. Gil turns from the flag to his wife and says, “I reckon we’d better be getting back to work. There’s going to be a heap to do from now on.” They no longer have the luxury of leisure. Work beckons, just as it does to many, many others who hope to have a roof over their heads or food on their plates. In the end, Ford presents Gil and Lana as equals with everyone else under the new American flag, an equality borne out of shared suffering, shared surviving, and shared needs. Kent Jones has already offered a cogent response to Tarantino, though Jones doesn’t consider Drums. See also Richard Brody’s recent introduction to a Ford retrospective playing this summer. Siddharth, Richie Mehta’s recent film set in India, follows an impoverished chain-wallah (zipper repairman) named Mahendra as he deals with the aftermath of his 12-year old son’s abduction. Mahendra has a measure of guilt over the situation because he had sent the boy off to another city to work in a factory. Despite modern child labor laws and access to government-funded schooling, Mahendra continues to operate on an older model of family life: school is fine for a while, but when the child comes of age, he or she needs to begin contributing financially to the family. However, when the boy doesn’t return home in a month’s time as expected, Mahendra and his family grow worried. They eventually discover that the boy had “run away” some two weeks prior, though they were never notified. With little more information than this, Mahendra begins a search for his son. His impoverished condition means he lacks the resources and the connections to take off work and simply devote himself to the search. In this, Mehta highlights Mahendra’s powerlessness in the face of a largely indifferent society. Stop working and Mahendra will find he and his family without food or a place to stay. One moment in particular crystalizes the dynamics of power that surge just beneath Siddharth’s surface. At this point, Mahendra only knows that the boy has been taken to a place unfamiliar to him called “Dongri.” So as Mahendra travels through Delhi repairing zippers on bags, pants, and purses, he asks everyone he meets if they know where to find Dongri. No one knows, but Mahendra perseveres in asking. Finally, Mahendra stops to fix a woman’s purse, and asks her the same question he has been asking for days: Have you heard of a place called Dongri? She answers the same as everyone else. But then she punches the word into her smart phone and a map comes up instantly. This hard working, albeit poor man has little access to the tools most of this film’s western audience take for granted. Now, possessing a smart phone with internet access won’t make one poor man “powerful.” Nor will it necessarily deliver him his missing son. However, by placing Mahendra in the completely hopeless and helpless situation of having his son abducted, director Mehta offers his western and affluent audience a humanizing connection to the poverty that too often dehumanizes people like Mahendra. This, for me, is the great success of Siddharth. The film challenges dominant western notions of the poor (they’re lazy, stupid, or immoral), and instead draws us into the narrative through a situation that is universal. Any parent—rich or poor—would do anything to find their missing child. And through this, Mehta shows Mahendra as a person with all the dignity of any other human being. Song of the Sea, Tomm Moore’s follow-up to the beautifully animated Secret of Kells, begins with a memory. A mother, her belly swollen with baby, tucks her son, Ben, into bed just after giving him a special gift—a nautilus shell outfitted to play as a musical instrument. Though Ben’s mother dies that very night giving birth to his sister, Saoirse, he cherishes the shell even as six years pass. The children’s father raises them in their lighthouse dwelling, but problems lurk just beneath the surface. Saoirse still hasn’t spoken a word by her sixth birthday. When her grandmother finds her washed up on the beach in the middle of the night, she decides to take the children from their seaside home to a “better” life in the city. However, Saoirse has a secret that she only just discovered herself, something she inherited from her mother: Saoirse is a selkie—human on land, but a seal in the sea. Removed from her natural habitat, Saoirse will die. The threat of death coming to this little girl drives the action of the film, but it’s the death of her mother, which opens the film, that hangs heavy over the proceedings. Furthermore, as the children escape their grandmother’s home in the city and head back to the sea, death becomes an even more significant theme. The children—especially Ben—slowly awaken to the reality that their mother’s death is actually part of a much larger reality in the world—magical creatures such as selkies and fairies are dying at an alarming rate. Only Saoirse has the power to change the course of extinction for this magical world. Death. Loss. Suffering. Grief. Creatures the world over have become acquainted with circumstances such as these. When the loss occurs with someone especially close—such as within the immediate family—coping can be a puzzling and altogether frustrating experience that leads to a life lived in fear of unknown dangers that lurk just beneath the surface of our otherwise controlled lives. Indeed, this response of fear and control seems to be Ben’s typical (and natural) response to losing his mother. Though living on the seashore, he sees the ocean as a danger to be avoided—nothing more. Furthermore, anxiety plagues his relationship with Saoirse. Ben constantly expresses his concern that she might leave his sight, even to the point of attaching a leash to her so that she will not wander off. And while Ben cherishes the gift from his mother—the nautilus shell that plays such beautiful, haunting, and mysterious music—the boy has lost all connection to the magic in the world that his mother would share with him through her stories and songs. In one scene, Ben scares Saoirse by telling one of his mother’s stories, only to proclaim that the story isn’t actually true. Death has removed the magic from Ben’s world. His vision of what’s possible in the world narrows. Fear takes the place of mystery. The brilliance of Song of the Sea—without even mentioning its splendid 2D animation—is the way in which it gives Ben’s fear no quarter. Indeed, the story presents an approach to death and suffering that’s reminiscent of something poet Christian Wiman calls “mystery mastering fear.” As Ben slowly awakens to the mystery and magic in the world—through his little sister, no less—he sees that so much more is possible than he could have ever imagined. As he recognizes his smallness, his finitude, he allows and even encourages his sister to use her gifts to bring freedom and renewal into the lives of many. Empowering others to be who they were made to be, the film seems to be saying, is the ideal response to death, for it is the only response that answers death not with limitations, but with life. I had a provocative moment during my viewing of Claude Lanzmann’s The Last of the Unjust, his portrait of Benjamin Murmelstein, former elder of the Jews at the Theresienstadt ghetto in 1944-45. Early on in the film, Murmelstein tells Lanzmann: “you have convinced me our conversation is important.” For decades, Murmelstein had been reluctant to speak about the past, due, no doubt in part, to the pain it brought as well as the controversy his own role raised. At the moment just after Murmelstein uttered the above quotation, the disc in my DVD player simply froze without explanation. I couldn’t turn off the player. I couldn’t eject the disc. The image of Murmelstein’s frozen face—before he could really tell his story—lit up my living room. Maybe, this pregnant pause seemed to ask, the past is better left in the past? Once I got the film restarted, I carried that question with me throughout Lanzmann’s extensive, more-than-three-hour interview with Murmelstein. Seeing as Lanzmann recorded the interview in 1975, the film seemed to pose the same question at a formal level as well. Numerous times throughout the film, Lanzmann’s camera or even Lanzmann himself introduces or interrupts the historical interview, instead wandering through the clean streets, emptied rooms, and beautiful synagogues that once bore witness to innumerable terrors. These places now carry largely unnoticed markers of remembrance, if anything at all. The film shifts between old footage and new—most directly in the old footage of Lanzmann compared with the recent footage of Lanzmann—visually and formally mark history itself as a character. Indeed, as we try and suss out an honest response to Murmelstein’s admittedly fascinating stories of working for Holocaust organizer Adolf Eichmann and running the Theresienstadt ghetto, Lanzmann’s film foregrounds the question of historical perspective. The film does this by taking this controversial “middle man” of the Holocaust era and giving him the dominant voice in the film. Lanzmann doesn’t seek to set up “gotcha” moments, but generally sits quietly as Murmelstein meanders through his tale. Indeed, Murmelstein’s gift of gab is apparent, even as he tends to, at times, drift far from his original point with asides and contextualizing. Lanzmann occasionally questions him, but those questions usually mean to clarify rather than challenge or debate. The resulting film is masterful as the singular voice of Murmelstein plays off of the contrasting shots of past and present. Time passes. History accumulates. And Murmelstein’s voice resonates through it all. This combination suggests a question: How does time change the impact or estimation of that unchanging footage of a man from forty years ago? Hearing Murmelstein’s words—spoken in 1975—for the first time today reminds us of our distance from the past, as well as our difficulty of assessing the past in the present. The specific reality of Murmelstein’s story is stark: He was the only surviving elder at Theresienstadt. The others suffered execution at the hands of their Nazi captors. Does his survival indicate a failure to protect his people or honor his identity? On its own his survival indicates no such thing. However, when we learn that Murmelstein followed Nazi orders to clean up the ghetto in order to make a show for the outside world that life in the ghettos was acceptable, skepticism about his explanations and reasoning takes root. Is this a man who would defend his personal interests at all costs? Or maybe it’s more complicated than that . . . does Murmelstein’s personal interest align to a significant degree with the interests of the people, as he argues? The film is compelling precisely because Murmelstein’s claims cannot be easily cast aside. In this way, the film takes us into an issue, a time, and a character, giving us the opportunity to debate and wrestle with the claims we hear. And it is that recognition that helps to answer my original question. Is the past better left in the past? Is history better left to history? My answer is unequivocal: no. We need history precisely for the purpose of entering into conversation about the whos, whats, and whens of our world. For it is in that debate that real community is forged and stabilized. Without important monuments and acts of remembrance that inspire conversation and debate—monuments and acts such as The Last of the Unjust—we will be left to powerful people wielding shadowy “truths” in the “service” of the people; we will find ourselves building and living and dying in modern-day Theresienstadts. Richard Linklater has been making films for more than 25 years. And while his isn’t exactly a household name—despite his more popular collaborations with Jack Black (School of Rock and Bernie)—he has carved out a niche for himself in the world of American independent cinema with the seminal Slacker, the innovative Waking Life, and his affecting Before trilogy. Linklater’s most recent film, Boyhood, fits well into the ethos of those latter films. Heavy on dialogue and light on plot, Linklater’s “smaller” films privilege character, atmosphere, and ideas over story, events, and flashy set pieces. Linklater’s work connects with the world in often profound and surprising ways. His films have regularly explored “people in time.” The Before trilogy is probably the best example of this as he has tracked Jesse’s and Celine’s relationship over the course of nearly 20 years—though we might also add the drama-in-real-time of Tape, along with sections of Slacker and Waking Life. Indeed, the middle entry in the Before trilogy, Before Sunset, is a film that virtually plays out in real time—the characters spending about 90 minutes together. Thus, that Linklater has played with time in a different way in Boyhood is hardly surprising. My own interest in Boyhood tangentially revolves around this notion of time’s passage. While the film’s form—a series of twelve segments filmed over twelve consecutive years—clearly projects this particular thematic concern, the film isn’t simply interested in charting time’s passage. No doubt, this formal conceit is remarkable, as we see a boy go from six to eighteen in a little over two hours. However, it’s what the film wants us to do with the passage of time in the life of Mason and those around him that I find most interesting. Every one of the film’s segments features Mason. Therefore, the action in each segment usually happens to or at least around Mason. In other words, Boyhood’s boy doesn’t initiate a great deal of the action—he most often receives it from his older sister, his parents, or his friends. While this could be criticized as a misstep, leaving the film with something of a blank slate for its central character, I think it works in a couple of important ways. First, it feels realistic. Kids end up receiving far more than dictating the action of their lives. Parents take children places. Older siblings tell younger siblings what to do. Kids often simply go along with whatever their friends want to do. That Mason models these behaviors makes him more authentic as a character, and helps the audience get into the mindset of what it’s like to be a child. Second, and more significant, however, has to do with my view that the Mason’s character embodies the way the film operates. 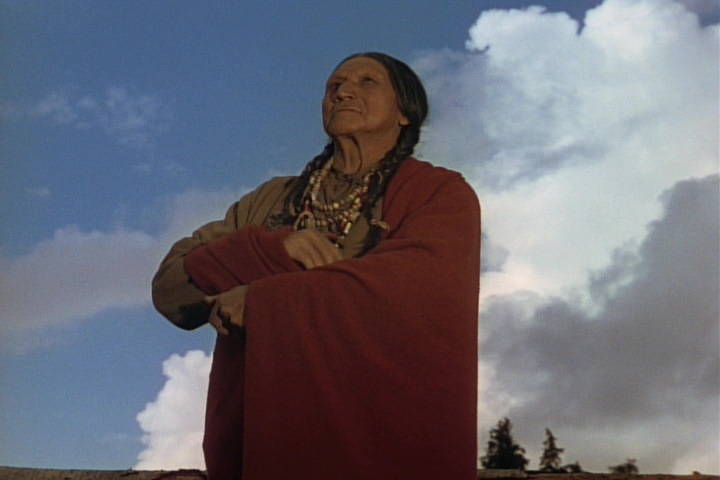 The film opens with the image of the sky, as Mason watches the clouds roll by after school one day. The film closes with another scene of Mason gazing at the sky, this time a sunset in Big Bend National Park. Mason carries with him both an attentiveness to and an appreciation of the world around him. He is always watching, always seeking understanding, all the while refusing to judge and dismiss those people and events around him that are outside his typical experience or beyond his comprehension. While Mason experiences frustration (generally directed at his father or stepfather), he never rejects. Even in one of the more painful sections of the film, as Mason deals with a break-up from his girlfriend, he can’t just dismiss her. He still remembers the good times they had and believes her to be, at heart, a good person. Mason’s refusal to judge and dismiss people from his life seems to mirror the way Linklater approaches the primary characters in this film (especially Mason, Mom, and Dad). The director affords us the opportunity to observe these characters without him pushing us to dislike them because of their foolish behaviors or poor choices. Indeed, the film is at its weakest in scenes with the stepfathers, men we’ve no real connection to or sympathy with. As a result, these scenes feel stacked against those characters. Maybe this is by design, to place us in the shoes of the stepson thrust into relationships with these men. Regardless, those scenes stand apart from what is otherwise a consistent approach to characterization that takes people at face value—the good with the bad. The overall lack of judgment toward its characters, taken in the spirit of Mason appreciating the world around him, is, in my view, one of Boyhood’s great achievements. It points out the value of appreciating people, experiences, and moments, and does so through the eyes of a child. Such a childlike vision of the world prompts us to be open and vulnerable to the world around us. It recognizes that such an approach will certainly yield pain, but not just pain. In the character of Mason, Boyhood gives us the eyes to see the beauty around us, to relish those moments of overwhelming grace or exciting opportunity that seize us and will not let us go. It is because of that spirit that I am most grateful for Boyhood.